Holagrams labeling machine is effectively used in designing labels that are used in securing products. The machines is designed in way that it ensures that labels used are authenticated and secure in meeting international standard. The machine guarantee that the product can bear the company logo that validates the originality of the product in the market. In packing industries hologram labeling machine are highly considered as is the most secure and eye catching. The add value to the product as they clean, hygiene and durable. Hologram Labels and Features of Hologram Labeling Machine. Efficient mechanism of releasing and fixing labels. The machine is self sheltered from occurrences of any voltage fluctuation. Product input is done manually. It is appropriate for any online ink jet. High speed that helps increasing production to 300 containers per minute. Changes the operational speed with minimal option in the controlling panel. Hologram stickers are the latest trend that is highly used in packaging industries compared with simple labels. They are secure and durable. Sticker labels are of high quality and efficient in labeling sensitive and vital products. They are very attractive as they grasp the attention of the prospective customer to buy the products. They add aesthetic value to the products. Hologram machine labels finished product, containers, vials, bottles and many other packing materials. The machine is applied in the following industries: pharmaceuticals, food, cosmetics and beverages among many others. They ensure that the work is done within the times scheduled and with accuracy. This reduces the time wastage in the packing industries leading to maximization of production. Using this machine enables the packaging industries working easier, clean and hygienic. They protect the products from unauthorized interference as they possess a seal. They can stick various products such as stick labels bottle, vials, containers, boxes and syringe. 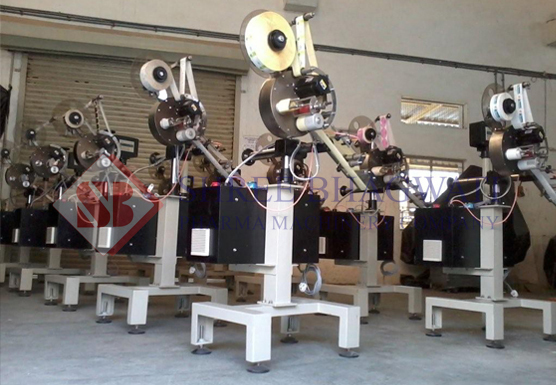 It is a multi purposes machine as it can complete several tasks such as: product, roll winding and label dispensing. This is done with expertise and accuracy. They have digital that enhances accuracy of the output. The dispensing unit is adjustable as one can either adjusts horizontally or vertically. Using this hologram labeling machine there is no wastage labels as well as energy. Hologram machine makes the products labels excellent, attractive, eye catching and clear. This one of many benefits associated with use of this machine in packaging industries in the word use special technique to save cost of production. Hologram Labeling Machine has embraces the latest technology and is most fitting machine for packaging applications. The use of this machine has the following advantages: high speed in production, easy to maintain, user friendly and protect product from damages. The machine is used in various industries such as: electronics, heath care, food and beverages and pharmaceutical.